Are you trying to measure your social media return on investment (ROI)? 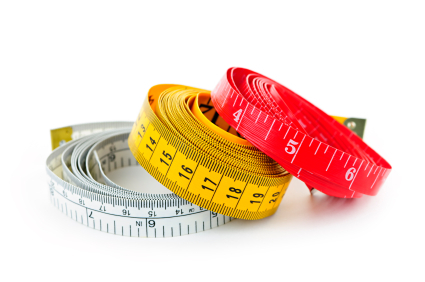 Do you need to measure the social performance of your business? 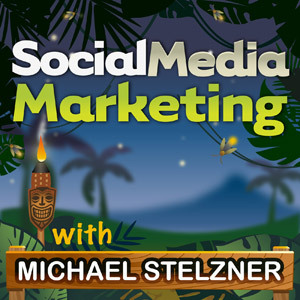 To learn how to determine the ROI for social media marketing, I interview Nichole Kelly for this episode of the Social Media Marketing podcast. In this episode, I interview Nichole Kelly, author of How to Measure Social Media and the CEO of Social Media Explorer and SME Digital. Nichole shares why so many businesses struggle to determine the ROI of their social media activities and what’s really important in your social media measurement. You’ll learn the most important steps that all marketers should take when thinking about social ROI. Nichole believes one of the reasons social ROI is a challenge is because marketers have redefined the metrics used to measure social media. Words such as mentions and retweets are similar to what was measured before. But now people have decided that social media is special, and therefore needs to be measured in a special way. Nichole believes this has set us up for failure. When you try to 1) justify what you are doing and 2) measure the return, you can’t compare these two things. It then becomes difficult to compare and optimize whatever the return is. People have played with the return on investment phrase in the social realm. For example, you’ve likely heard of return on influence, return on engagement and return on conversation. The problem with this approach is that at the end of the day, ROI is a financial return. And whether it is the best measure for success of social media doesn’t really matter, because it’s the measure of success for business. Listen to the show to find out why you need to translate social media into a positive ROI. Nichole explains how she spent most of her career in corporate marketing and grew up in the boardroom. In June 2011, there was a study that came out from the Fournaise Report that said 73% of CEOs think marketers lack business credibility. The #1 stated reason was because we talk about trends like social media. 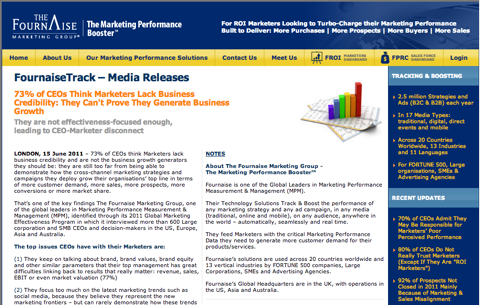 In June 2011, the Fournaise Report said 73% of CEOs think marketers lack business credibility. Whether you agree with this or not, Nichole noticed that marketers were caught in a trap of trying to measure social media differently. And measuring social media ROI isn’t as hard as everyone was making it out to be. So she set out to provide how-to information with step-by-step instructions on translating social media into something that can be compared across channels. Nichole wrote ROI-related articles for Social Media Examiner and discovered there was a never-ending appetite for help figuring out social media ROI. Nichole thinks people are still trying to understand it completely, but they are actually ready to measure now. When Nichole first started, a lot of people were talking about measurement in philosophical terms. We are starting to see companies, and marketers in particular, understand that with social media, it doesn’t matter how many fans or followers they have. At the end of the day, if you can compare social media to what you spend on pay-per-click advertising and start measuring it with something simple like cost per click on all of the web traffic you are sending to your site, you have something that justifies a budget. Listen to the show to find out why Nichole feels measuring social media ROI hasn’t come full circle yet. The first step is never use a social media metric. You should never talk in terms of fans, followers, likes and retweets. You should dispose of all of this social media lingo and start thinking in terms of other marketing channels and what you measure there. For example, if you focus on pay-per-click advertising, you should measure cost per impression, cost per click and sometimes cost per conversion. If you focus on public relations, you should measure cost per impression and sometimes cost per mention. The one thing that you can measure right now is how much you spend on content, agency fees and total spend on social media marketing. If you start comparing all of that with the cost of whatever is brought to your website or whatever the conversions are from social media, then it’s easy for people to understand social media ROI. You want to use the terminology that executives are familiar with. Listen to the show to learn why it’s important to use the terminology that executives are familiar with. Nichole sees many companies measuring reach and engagement. As marketers, we want to optimize what we are doing and the only way to do that is to measure how often people engage and whether a piece of content is performing. These are good metrics. For business it comes down to three things: sales volume, revenue and cost. Nichole feels that we haven’t quite connected social media with the bottom of the funnel where the actual conversion, sale or customer retention process happen. And because we haven’t connected these things, we have executives with misaligned expectations about where social media fits into the sales funnel. Although you may be generating interest in the social channels, likely you still are converting customers using email marketing, having them come through organically or by using pay-per-click advertising. You need to align expectations accordingly, or you could set yourself up for failure. This can kill your ability to get any kind of budget for the social media marketing your company needs. There are two different types of leads. 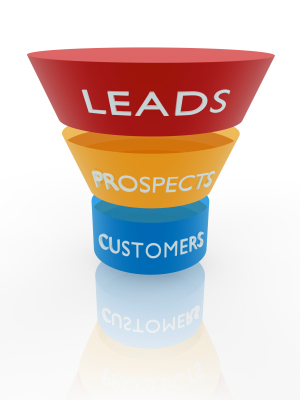 A soft lead is someone who’s exchanged his/her email address in return for something, and a hard lead is someone who is already a customer or a qualified prospect. Nichole recommends you generate the soft leads with social media and then use email marketing to convert them into hard leads. The biggest call to action that Nichole sees is “Sign up for our newsletter.” She finds this funny. How many people really sign up for a newsletter anymore? Today the word newsletter is almost the clean word for spam. People really don’t want a newsletter. They want something of value. Delivering a newsletter is not the best call to action to get that email address so that you can do additional marketing. Nichole likes to focus on content-based marketing, where you give people something they value in return for their email address, and tell them what kind of emails they can expect after that. Are you trying to gain leads with your social media efforts? Then you need to measure the cost per lead. Most companies that spend money on marketing are measuring what the cost per lead is today. The second piece to measure is cost per acquisition. How much did you spend to get an actual customer? You can measure these two metrics across channels. One of the biggest challenges with social media is that we are trying to measure social media in the social channel, when in fact the business value tends to happen on the website or through the email list. You have to stop thinking in terms of one silo and look at social media as one part of the story. Listen to the show to find out how to measure every touch along the buying cycle. There are three parameters you can append to the end of a URL to tell Google Analytics the campaign, the medium and the source of where that link was posted. Nichole uses these parameters and keeps track of them in a database. This tells her exactly which status update generates a specific conversion because she has numbered each status update and has it in a database. Listen to the show to hear how to track your conversions. Nichole describes two different types of metrics. First of all, there are the metrics that marketing managers care about. 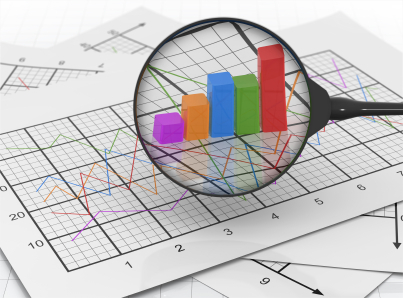 These are the metrics you need to optimize your results. For example, which tweet led to the most conversions that month and should we do more tweets like that? Once you start getting into executive management, you have to distill it down to three things. These are cost per impression, cost per engagement and cost per lead. Sometimes you need to add in cost per customer acquisition. If you can get to revenue and there’s an integration with CRM, you start adding things like average revenue per customer and revenue metrics, etc. The big three are the ones that have historical presence in companies. They are benchmarks for success and a known acceptable cost for each one of these things. This is all the executive team cares about. Social media is one line item on a budget of many marketing channels. Executive management really doesn’t pay attention to the nitty-gritty. And Nichole believes that if the executive team pays too much attention to these small details, it probably means that the marketer has not positioned social media to show proper integration. This is why they are scrutinizing it so much. Nichole always works on getting this information into that one line item on the overall marketing report. People are scared to measure and marketers are scared to be held accountable. If you start delivering these kinds of metrics and your data shows that social media is not working, then your job is on the line. And the pressure isn’t just about social media, it’s coming for the entire marketing channel. It’s now time for marketers to get serious. Is it going to be something you integrate into your marketing plans and into your business, internally and externally, or is it something you are going to fiddle around with on the side? Should companies measure engagement in answering questions on their Facebook wall as a public service? Should they measure engagement with “thank-you’s” on Twitter? Nichole believes that it isn’t that these activities don’t lead to ROI. The intent is different. There’s the question of being a good steward in social media and then there’s also the question of finding a way to impact business. It’s a combination of both of these things that work on social media. You’ll discover what happened when Nichole did a test for her book on Facebook. When she first posted a status update simply with a link to her book, there was no engagement at all. Then she took a picture of herself in Barnes and Noble with the book, and she received tons of feedback. People loved it. Nichole hasn’t got the numbers yet to see if this generated sales. But it was the one thing that people could connect with because it made Nichole human. Nichole explains how measuring ROI is important, and why you should also continue to be human and provide value, while tracking your sales funnel. Listen to the show to hear why Nichole is 100% sure that your ROI is negative when you start to measure. The one tool most people have is Google Analytics. 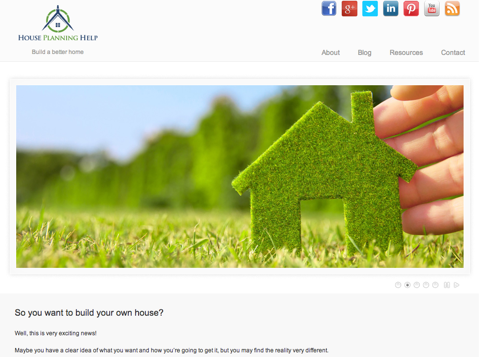 Nichole’s advice is look at the goal conversions that are set up on your site. 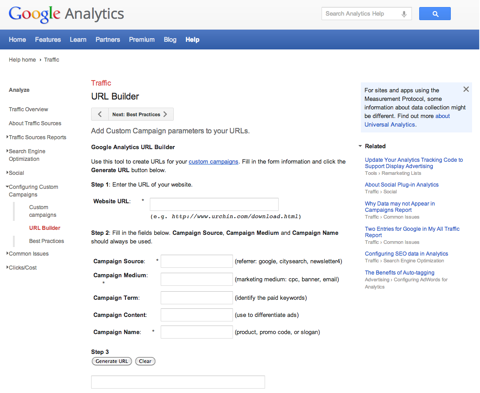 Next is to do a search for Google Analytics URL Builder, which allows you to put in the three parameters mentioned earlier. This generates a long URL that has them all appended. You can shorten it in your social channels. Once you have tested it, you can now connect this to sales data. This means plugging into a marketing automation system that attaches to a Customer Relationship Management (CRM) tool like Marketo or Pardot. Listen to the show to hear how the Google custom URL Builder works for social channels. Ben Adam Smith of House Planning Help sent in today's social media question. Ben, here is what you need to do. Here’s a statistic from our 2012 Social Media Marketing Industry Report, where we surveyed about 3,800 marketers and asked them how much time they spend on social media. About 64% are spending between 1 to 10 hours a week on social media. If you look at 10 hours spread over a 5-day workweek, that’s a maximum of about 2 hours a day. This shows that people are investing a fair amount of time in their social media efforts. To help you figure out how you can spend less time and still get great results, here’s a very simple plan. You can use scheduling tools like HootSuite and Buffer to schedule some of your activities (but not all of them). At Social Media Examiner, we use SocialOomph to schedule our tweets and our LinkedIn updates only. The reason for this, to the best of our knowledge, is Twitter and LinkedIn are the two networks that don’t penalize you for using their tools. But we’ve heard mixed reports over time as to whether Facebook penalizes you or not. With regards to Facebook, we have found the best thing to do is to manually update your news feed. On Twitter, I suggest you write down a number of interesting things that you can schedule into one of these tools. Find some interesting content that’s been written about your industry by others. Add a few tweets with links to your own content. Consider adding an occasional tweet about an activity or an event you’re going to be participating in or attending. Then spend an hour and schedule these tweets throughout an entire week. If you also want to schedule updates on Facebook, there’s a built-in scheduler for Facebook Pages. So you can actually go into Facebook and schedule your updates using the Facebook built-in scheduler at the same time. The only downside to this is that I’ve had mixed reports on results. To learn more, visit here and do a search for Facebook Schedule or Scheduling. The next step is to track what is working. You’ll learn in today’s podcast how to do this. When you begin to see that some things are working better than others, consider scaling back on what’s not working, or experiment. And increase your activity on what is working. Listen to the show to gain more insights into how we do this at Social Media Examiner. 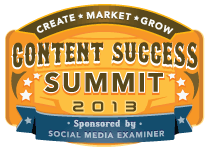 In just a few short days, we are kicking off Content Success Summit 2013—an online conference designed for marketers and business owners who want to expand their platforms. This conference will reveal everything from strategy to content creation techniques you can put to use immediately. Content Success Summit starts February 5, 2013, and is spread over four weeks to improve learning and accommodate your schedule. Plus you’ll get recordings and transcripts of all live sessions. Be sure to check it out. We have 22 speakers including Joe Pulizzi, Ann Handley, Michael Hyatt, Michael Stelzner, Mark Schaefer, Amy Porterfield, Gini Dietrich, Marcus Sheridan, DJ Waldow, David Siteman Garland, Pat Flynn and Derek Halpern. If you have been thinking about attending but you need to convince the boss, you’ll be happy to know we have a section called Convincing the Boss. What do you think? What are your thoughts on measuring social media ROI? Please leave your comments below.